Bibliographic entry Delisle, G. (2007). Pyongyang: A journey in North Korea. Montreal, Canada: Drawn & Quarterly Books. Description This non-fiction graphic novel is about Delisle’s trip to North Korea to work in an animation studio there. Reaction The black and white drawings are simple and journalistic. The narrative is filled with Delisle’s reactions to the new culture he is experiencing in Korea. Having experienced this culture shock first hand, I know this book would be great for anyone experiencing a cultural shift. 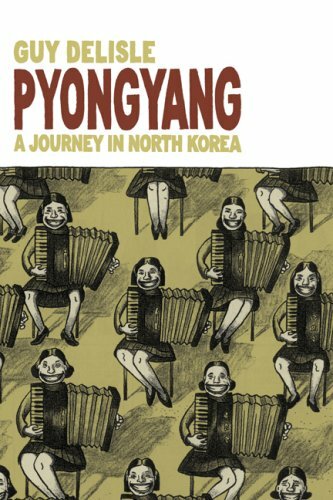 Posted on November 25, 2012 November 25, 2012 by banana29Posted in UncategorizedTagged book reviews, Canadian, children's literature, collection development, graphic novel, Guy Delisle, non-fiction, Pyongyang: A journey in North Korea, school library, secondary school library.